I am David Ridle, Skagit Farmers Supply Country Stores Agricultural Products & Services Consultant. Recently I’ve received several calls regarding Buttercup, Ranunculus sp., in pastures and hayfields. Folks are concerned because Buttercup has multiple impacts, i.e., the plant is both invasive and moderately toxic (more information). Creeping buttercup’s competitive growth crowds out other plants, especially in wet soils. One plant can spread over a 40 square foot area in a year. Creeping buttercup also depletes potassium in the soil and so can have a detrimental effect on surrounding plants. 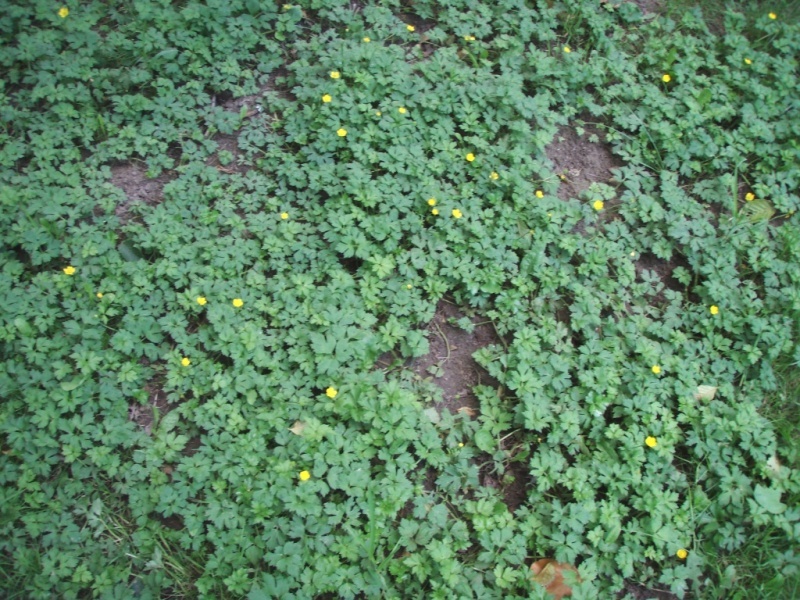 Because creeping buttercup can tolerate heavy, wet soils, it can be a particularly bad problem on well-watered lawns, wet meadows and poorly drained pastures. In addition to invading wet grassy areas, creeping buttercup is reported as a weed of 11 crops in 40 countries. To get rid of buttercups in your pasture or hayfield is a two step process; spray to kill the existing buttercups and improve the conditions that favor grass production. For selective control of Buttercup in grassy conditions such as pastures and hayfields, use the herbicide MCP Amine plus an adjuvant (wetting agent) such as Class Act. Spot treat rate is 0.25 pint MCPA to 3-4 gallons of water. Per acre rate is 2-3 pints MCPA. Use 1.25 cups Class Act to three gallons of spray mixture or 2.5 gallons of Class Act to 100 gallons of water. READ AND FOLLOW ALL LABELS. Haying restriction: Do not harvest treated area for hay until 21 days after treatment. Two or three treatments may be necessary to control Buttercup due to weed seed soil bank and the ability of mature plants to recover. Improve conditions for grass by fertilization, overseeding, liming and not over-grazing. Reduce soil compaction by aerating and avoid trampling when soils are wet. Consider fertilizing during the first half of September, ahead of the fall rains. If the stand is thin, overseeding is best accomplished mid September to mid October with a large seed species such as perennial ryegrass (pastures) or festulolium (pastures and hayfields). Harrow to establish good seed to soil contact. Lime is generally applied in the fall and is added to improve the ability of grass to compete against Buttercup and other weeds such as moss. For best results, soil test every 3-5 years to accurately determine what soil nutrients and amendments are needed.